The HiPOx process is classified as an Advanced Oxidation Process (AOP), which utilizes ozone and hydrogen peroxide to form hydroxyl radicals. 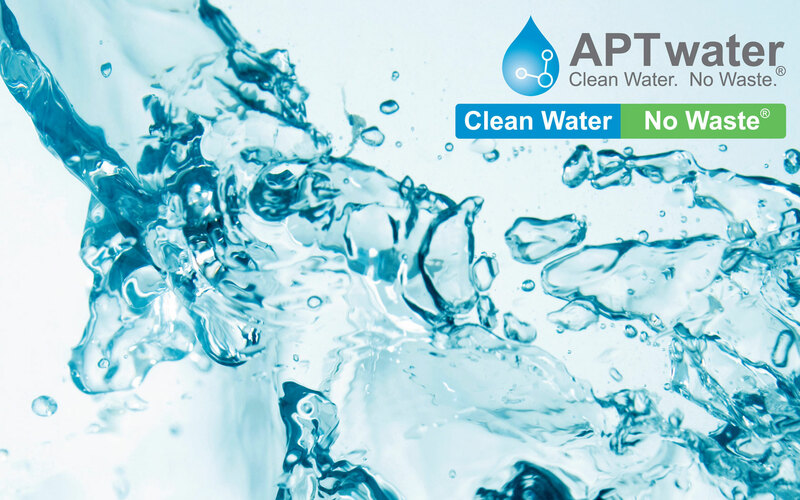 AOP processes, also known as Peroxone chemistry, using ozone and hydrogen peroxide to create hydroxyl radicals are well documented. Hydroxyl radicals are second only to fluorine in their oxidizing potential. Hydroxyl radicals react very rapidly to oxidize contaminants to non-hazardous compounds including carbon dioxide (CO2) and water (H2O). 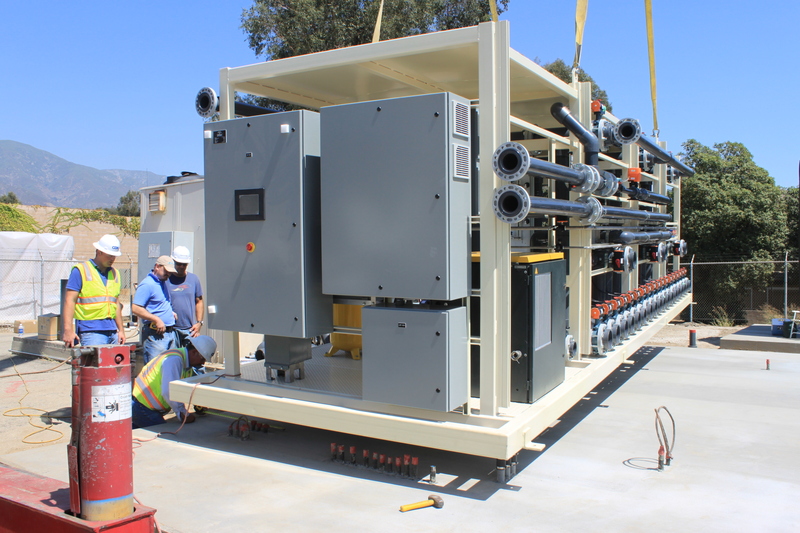 APTwater’s PulseOx® process is an in-situ chemical oxidation (ISCO) technology for the remediation of contaminated soil and groundwater. 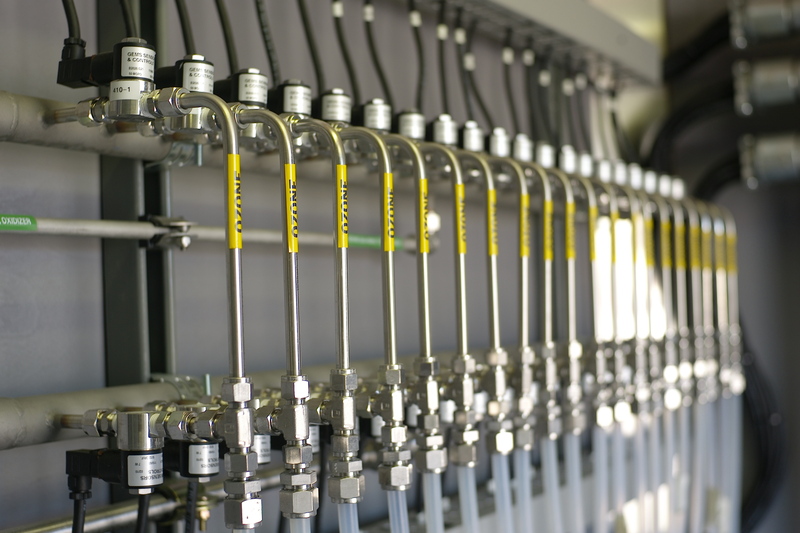 PulseOx systems offer 35-50% more powerful chemical oxida­tion, and up to 1-billion times faster reac­tion kinetics than conventional air-sparge or ozone-sparge remediation systems. 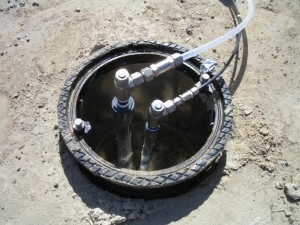 PulseOx systems deliver greater value through faster cleanup and closure of en­vironmental remediation sites. 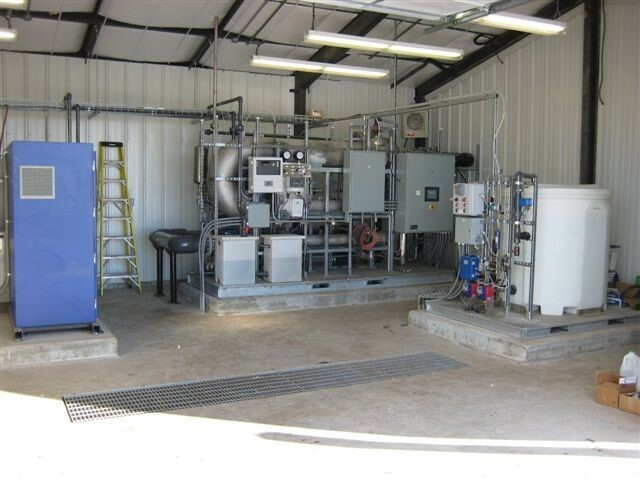 air-stripping and vapor-phase carbon treatment system. The HiPOx system achieves >99.8% removal of TCE before effluent is sent to the existing carbon system for final polishing. 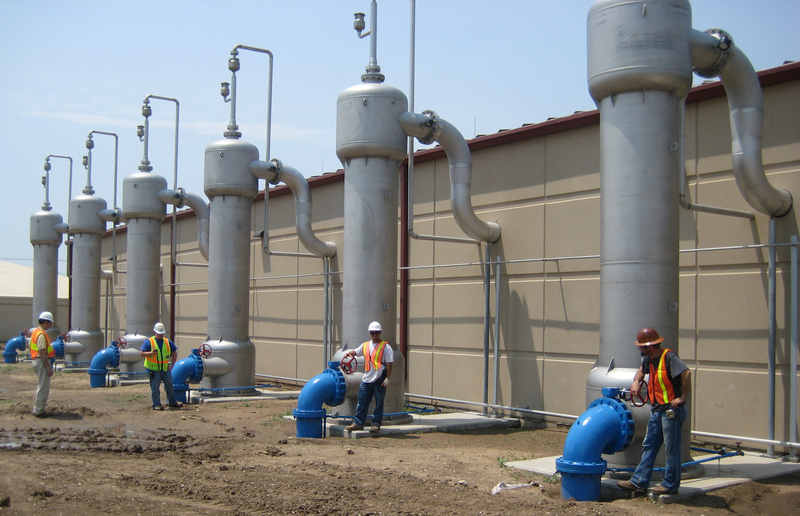 Treated water from the remediation system meets all public health requirements and is pumped over 1 mile away for irrigation and surface water discharge.